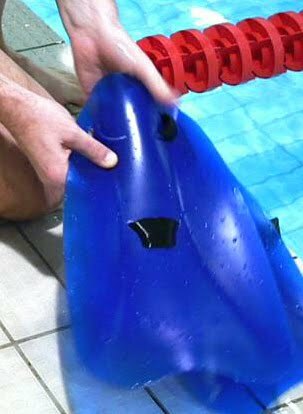 Hi, We've done a video reply, Fin advice from Simply Swim. Take a look at the video link below as we demo the use of fins as a training aid. We look at the benefits you can get from using them, discuss the different types available and also offer you our top tips. I am considering purchasing these for a different purpose than described. We have a son who had his feet amputated 8 months ago. So he has nothing below the ankle. He is tiny in size when not wearing prosthetics due to missing the fibula in both legs also. He typically swims with nothing. He gets around pretty good. 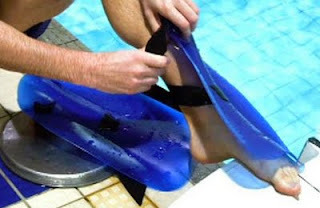 But, he has a desire to wear flippers. Which of course won't work without feet. These seem like a perfect solution. However. Will they fit tiny legs? His legs are probably the equivalent size of a 3-4 year old even though he is 8. He is very strong and does swim even without anything. Are they returnable if they don't work out? @Heidi: thanks for sharing your situation. I'd imagine the fins would fit ok and could work well, however, to be sure, I'd suggest contacting the inventor of the fin http://www.shinfin.com/shopaff.asp?affid=115. He'll be able to answer all of your questions. Hope it works for your son.